The AAS line of StandAlone Proximity card readers combine the latest in proximity technology with the ease of non-PC programming. Each StandAlone Proximity card reader features a high grade stainless steel faceplate with heavy metal, powder coated enclosure. 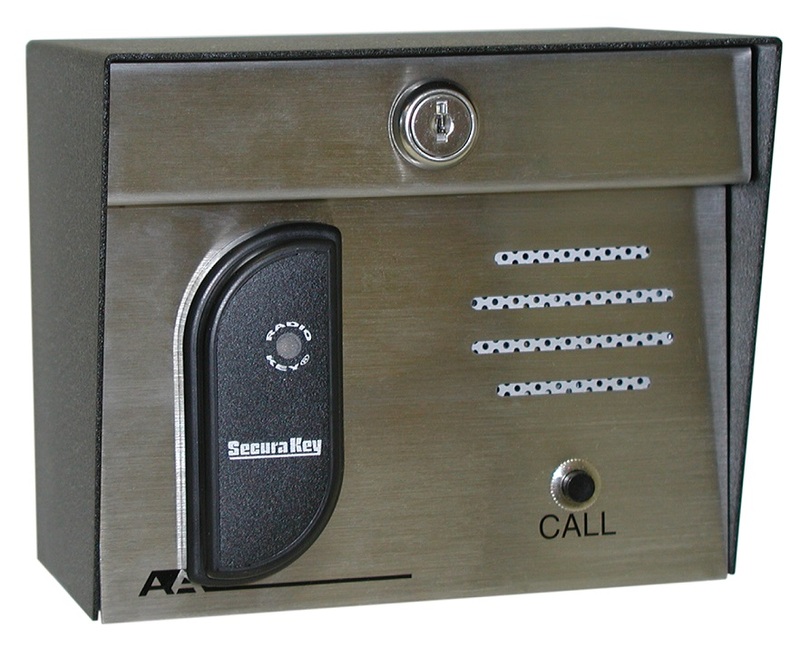 Mounted to the faceplate is a SecuraKey RK reader, with the control board mounted safely inside the rugged enclosure. To program the unit, simply unlock the faceplate and use the enclosed keypad to enter codes. That’s it! All StandAlone Proximity card readers have a 1000 memory transaction buffer that can be printed out on an RS-232 serial printer. The unit will report date, time, card number entered, relay activated and valid / invalid cards. This system provides a 26-bit Wiegand input for a slave SecuraKey card reader to be wired to it, making it ideal where two readers are required.